50" x 33" x 1.5" Powder Coated Steel Frame with Clear Playing Surface Shatter Proof Polycarbonate playing surface gives you the look and play of pro-style glass. Graphics are screen-printed with UV protected ink's. 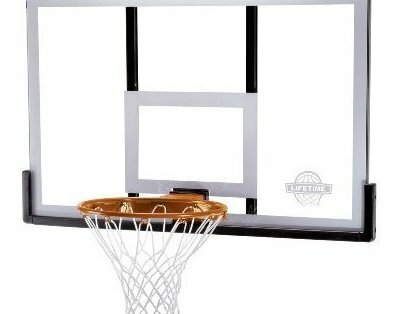 18" Slam-It Rim is build with a 5/8-inch ring of solid steel, with 1/2" steel braces & double compression springs let you slam it like a pro!.